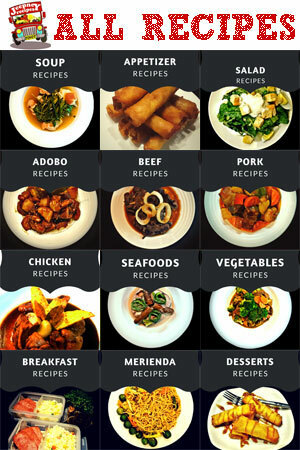 But since beef is quite expensive, I prefer using pork this time so I came up with Pork Bistek Tagalog. I also used different method of cooking for this dish because pork is more tender than beef. 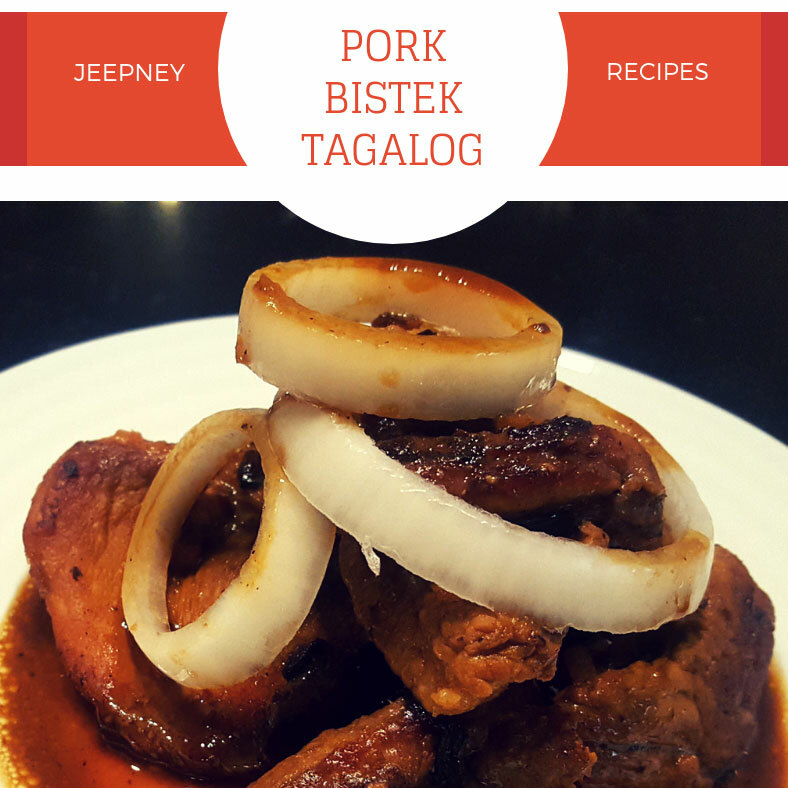 Aside from Pork Giniling Guisado and Sinigang, Pork Bistek Tagalog is one of my kids' favorite dishes. For sure my eldest son would ask for another extra plate of rice again. Combine calamansi juice, soy sauce, garlic and brown sugar in a bowl. Add pork sirloin and marinate for about 30 minutes. Heat oil in a pan over medium heat. Add onions and fry until translucent. Add garlic. Cook pork for about three minutes or until brown. Scoop out the juice/sauce, then let it fry. Check occasionally. Add marinade and juice/sauce. Simmer for 8 to 10 minutes or until cooked. Add onions and season to taste. Serve while hot.